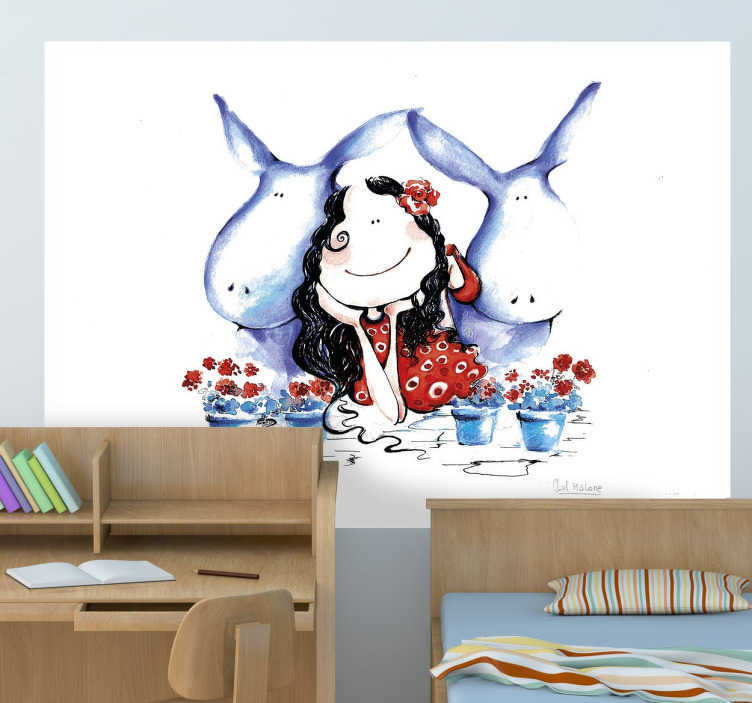 Kids Wall Stickers - Original and exclusive Tensticker design. Illustration of a woman with two identical friendly donkeys against a white background by Lol Malone. Fun, colourful and playful feature for decorating areas for children. Available in various sizes. Decals made from high quality vinyl. Easy to apply.